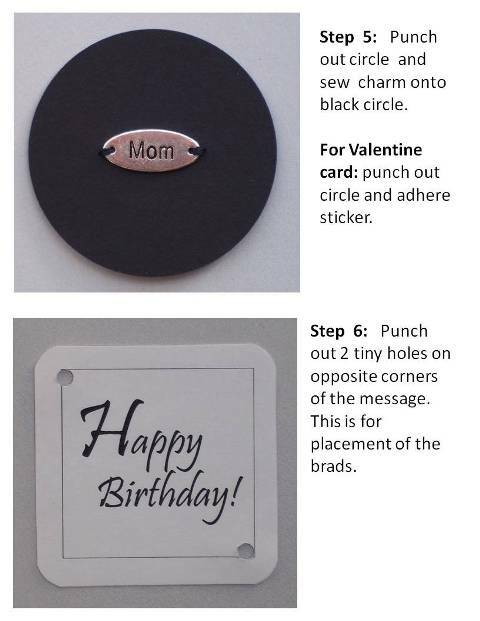 Make homemade Valentines to please your loved ones. 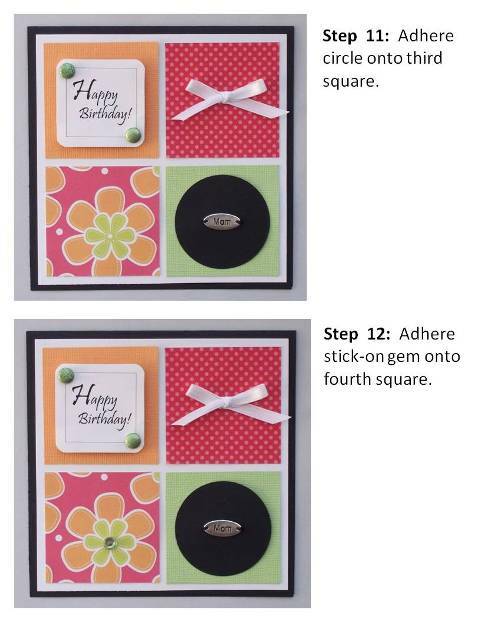 Discover lots of card making ideas and examples of handmade cards with instructions. 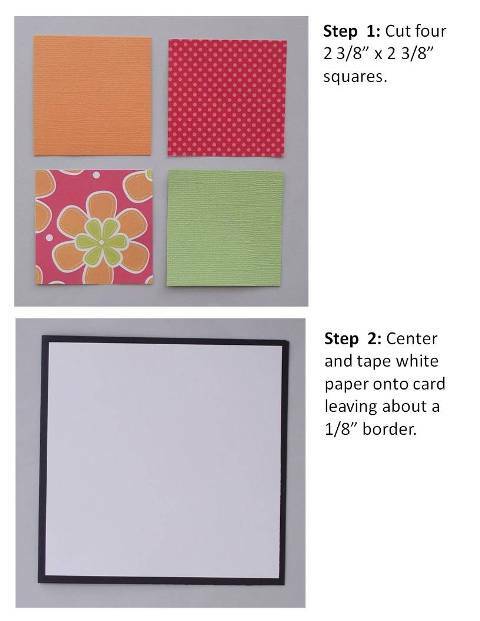 Try this colorful Valentine's Day card and use up your small pieces of scrapbook paper. If you have left over stickers, ribbons and embellishments, this is a perfect design to use them up. 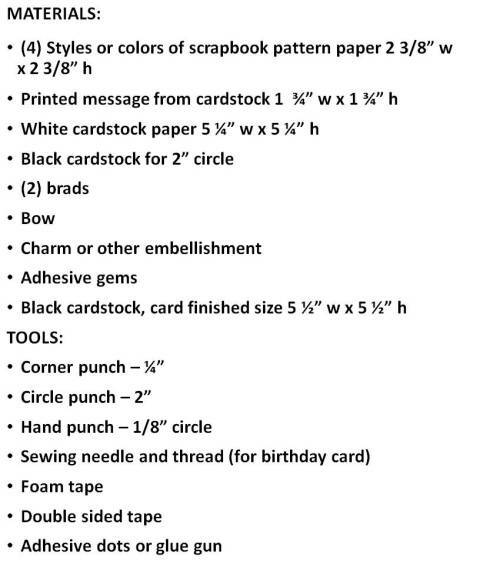 When thinking of homemade card ideas, start with pattern paper to get inspired. 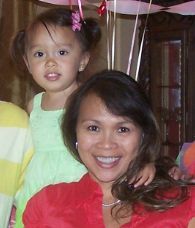 I used a print that has little hearts and then found a polka dot print that coordinated with the colors of the hearts. I then chose two other solid colors that matched the pattern paper to finish off the color palette. 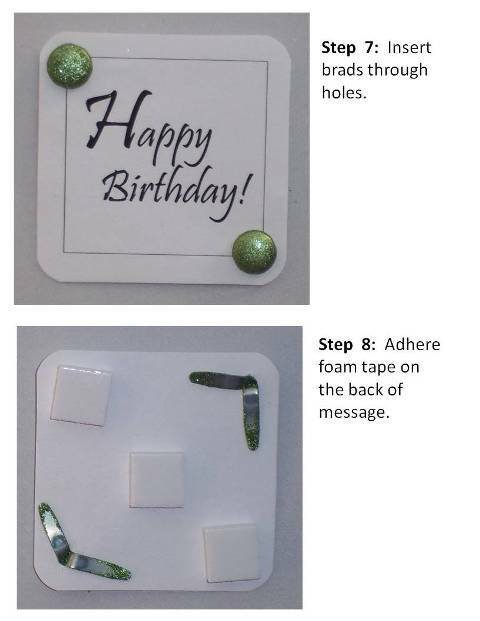 For this handmade greeting card design, place the printed papers on opposite ends and do the same with the solid colors. This helps create balance. If you are not working with two solid colors and two prints, place the two busiest prints opposite of each other. 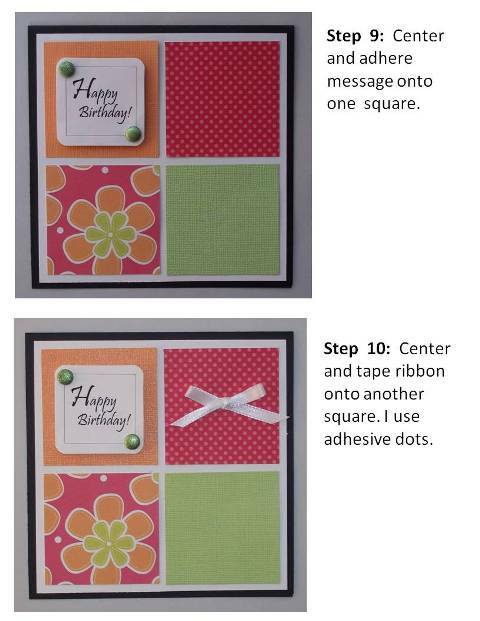 Aligning the squares might be a bit tricky if you are making this card for the first time but just eyeball it or use a ruler to help guide you. I used a couple of craft punches to make this card. I used a corner punch around the sentiment and a large circle punch on black paper so that I could feature an sticker on it. Another punch I used was a small circle punch. This helped with inserting the heart brads in the box that held the sentiment. 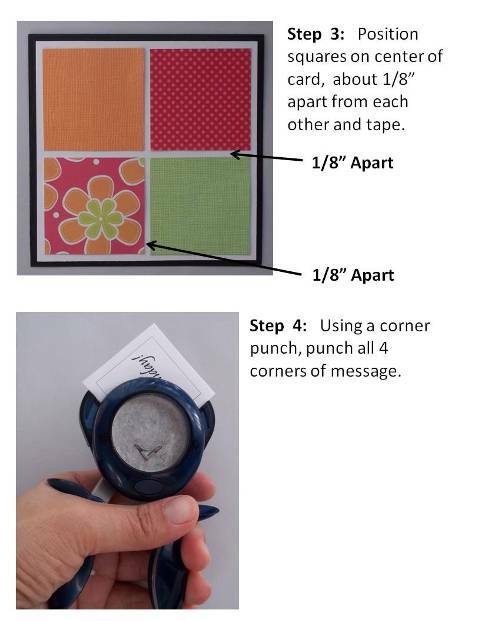 Find whatever embellishments you have laying around and use them up for your homemade valentine cards. 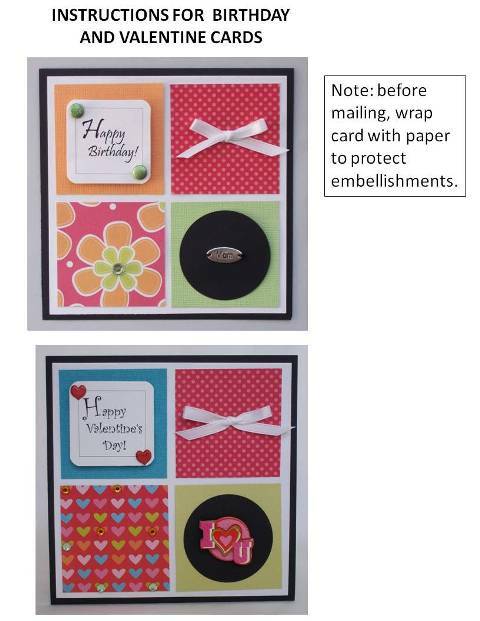 Small pieces are ribbon are perfect accents for the card and so are buttons and stickers. This card design also works well for birthday cards.